TRUE TUMBLING MAT – Innovative upgrade of the original version of the gym mat, Double-Wall material with unique drawing process (density up to 1000 dg/? ), It is sturdy and has just the right amount of bounce while reducing vibration, Good support for every part of the body.30s FAST INFLATION – Our air track comes with a electric air pump, only take about 30 second to inflate or deflate. After inflation, the air tumbling mat will maintain its pressure for days. 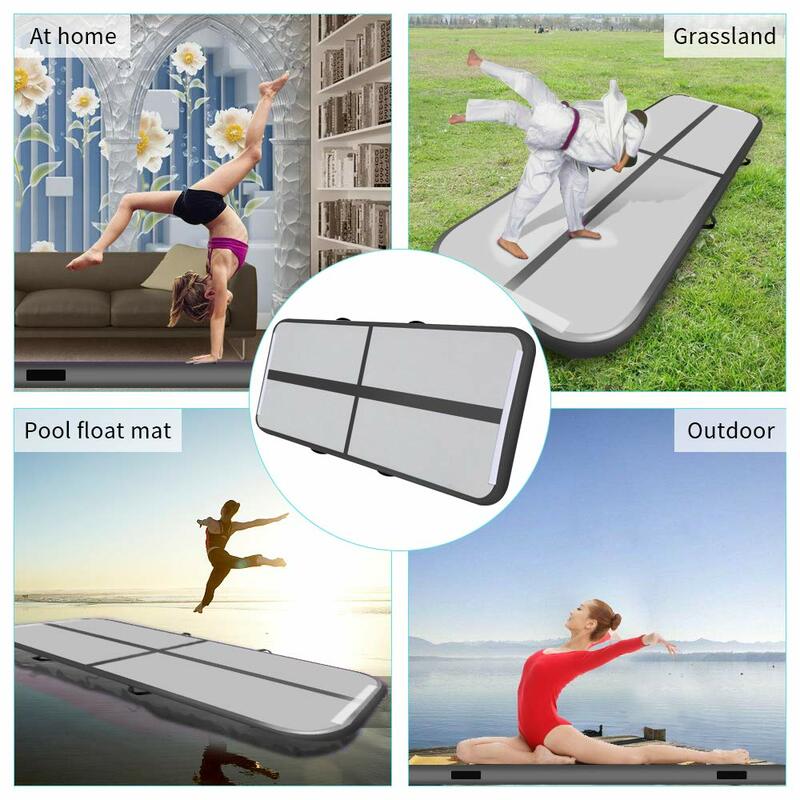 All the data comes from real tests, The video link about inflation: https://youtu.be/F2sbg1JjZ20PORTABLE & DURABLE – Inflatable floor mats is easy to carry to everywhere after deflated. Powerful velcro makes it easy to link two air track mats together that achieve the training area you want. Non-slip surface and special material make sure no noise during training on the mat.WIDE APPLICATION – A, Make the home have the same floor as the gym. B, Suitable for gymnastics high-performance training in many places. C, Fitness clubs,dance clubs, Budokan, Taiquandao Club etc. D, Be used on beach or water, It’s both a mat and a float.